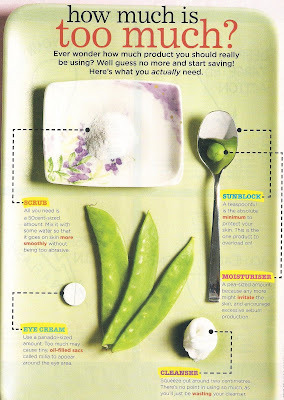 The latest issue of Seventeen Magazine (January 2010) is out already at your nearest news stand! and it features Miley Cyrus on the cover. She looks fierce. A quick look! Seventeen is looking for 17 Girl Crew to add to their team! 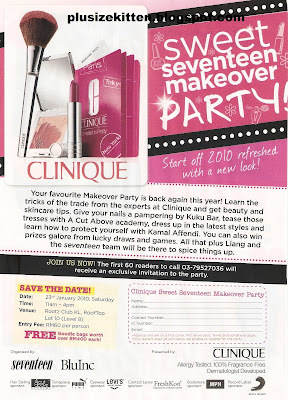 Also the yearly Seventeen Clinique Makeover Party is here and I see they are enforcing the age gap again this year (I attended the first 2 parties and had lots of fun!). Age gap is 24 years old and below. My sister & her friend is going! The first 81 readers to sms wins preview tix! 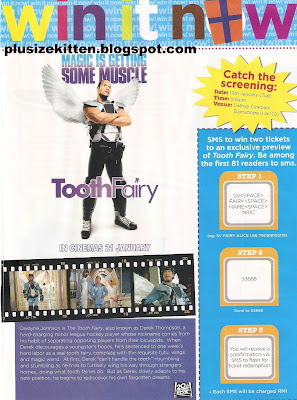 to watch Tooth Fairy on 19/1/09 (tues) 9.15pm at Cathay Cineplex Damasara (Hall 10). 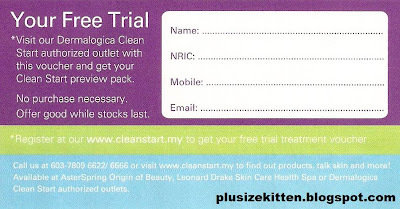 Also the couple of months Dermalogica has been promoting their new skincare range targeted at younger audiences called "Clean Start". I did not redeem any yet, possible because I got tons of skincare haha. Well their promotion is not over yet so go try it out if u haven't. Lastly, although I am not seventeen anymore which u might be wondering why this old bird still reads this kiddie mag it's bcoz I love the layout and creative approach to their content - makeover, clothes & make up. How Much Is Too Much? is my favorite page this month. It shows how much u need from ur skincare instead of pumping like mad covering ur whole face lol. Anyone going to the party RM60 per pax?? I rsvp not yet pay..
is there magic potion make us younger? hehe. but our soul and mind always young.. just body aiya.. Excellent post. I was checking constantly this blog and I’m impressed! Very useful info specially the last part :) I care for such info much. I was seeking this certain information for a long time. Thank you and best of luck. just 168,708 were made permanent, as outlined by u.